Made in America Festival - 365 Festivals :: Everyday is a Festival! What it feels like spending your weekends singing and dancing in the biggest music festival. Something you wish for especially if you are a music lover. No stress of work or anything but to submit yourself grooving on music beats. Well, this the exact picture of Made in America Festival. If, you are more curious to know what this festival is all about, here are all the details. 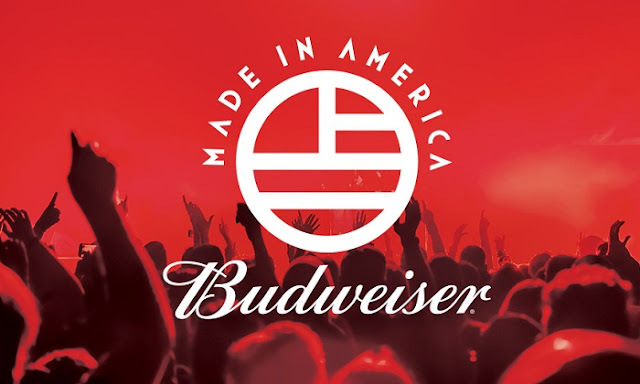 Made in America festival is better known as Budweiser Made in America Festival. It started off recently that is in the year 2012. After which it takes place every year at different locations in America. In addition to this, the Made in America fest in 2012 organizes in Philadelphia, Pennsylvania, and Ben Franklin Parkway. After 2014, this fest occurs in a few more location in America. Such as Grand Park, and Los Angeles California. Famous singer and rapper Jay-Z is the founder of this fest. Additionally, Live Nation is the producer while Anheuser–Busch are the sponsors of this fest. Besides all this, this fest features almost every music genre and not restricted to a few of them. The music genre which you can listen here includes Hip Hop, Pop, EDM, rock, and R&B. Undoubtedly, this fest is the last chance to make your summers action-packed. As the organizers of this fest schedule this fest on the Labour Day weekends. Well, a great move favoring the audiences and organizers indeed. The idea of Made in America fest belongs to Jay-Z to bring culture and music under one roof. For the first fest, he chooses Ben Franklin Parkway as the location. One year later, he also becomes the producer of a film based on the similar subject. This 2013 release Made in America is the work of director Ron Howard. It is documentary featuring the performances and backstage interviews of those artists participating in this fest. It’s an attempt to show how a single music fest lifts the lives of many people. After a successful celebration of two years, Jay-Z decides to expand this fest to other cities. With this intention, he added one more destination for this fest. This way not just in Philadelphia but this fest also began in Los Angeles. The first celebration was a remarkable hit as nearly 80,000 people attended this fest. Due to huge viewers, this fest generates a total of $5 million from ticket sell. This fest becomes an even bigger hit with every passing year. Before the fest announcement of line-up already create a buzz in the media. The line-up includes many artist performances who are famous worldwide. For instance, Coldplay, The Chainsmokers, Lil Wayne, Rihanna, Beyoncé and who not on this list. To make the most of the Labor Day weekend, everyone went to Philadelphia and Pennsylvania for this fest. Since summers are yet to end, people are ready in their comfortable summer dresses. Everybody was set to shake their legs on the groves of their favorite singers. The organizer tries their best to provide different facilities they need in the fest. Like, the event location, includes food services, water stations, portable toilets and fest game stop. For having fun in these two days, one must not forget to take basic stuff. Some of these items are extra shoes, snacks, hand sanitizer, phone charger, and earphones. Since it is a bit hot weather, one must take care while eating at these food trucks. Every year, this fest holds a new record in the selling of the number of tickets. In 2015, the Philadelphia fest witnesses a record of sold 140,000 tickets on both days.